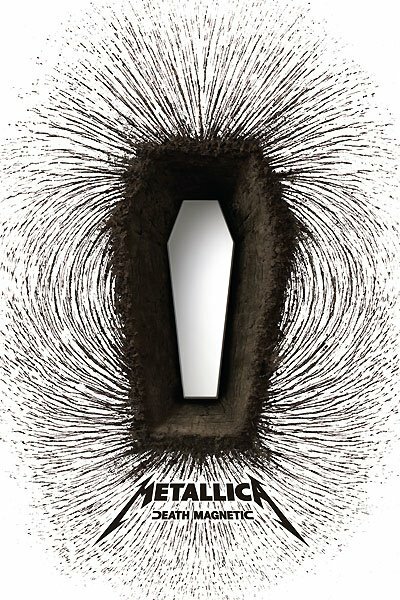 The World of AF Grant: Metallica: "Death Magnetic"
The mighty Metallica have announced the release date for their first album in five years; "Death Magnetic" will hit the streets and Internet on Friday September 12, 2008. "Death Magnetic" features a few firsts for the band - it is the first album appearance for bassist Robert Trujillo who joined the band after 2003's "St. Anger" was recorded. 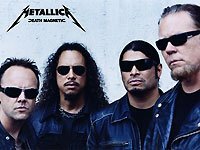 It is also the first Metallica release produced by Rick Rubin. Bob Rock had been Metallica's producer (and unofficial fifth member by playing bass on St. Anger) since 1991. The first single and video will be "The Day That Never Comes."